Velvet Swimsuit, You have seen the new trend, So should you buy a new Velvet Bikini or Velvet One Piece swimsuit that is going to get wet? Well, the real answer is Yes, Today’s high-quality materials are totally 100% Waterproof and will not get damaged by either pool water or sea water. The velvet is made from top quality materials like Polyamide, Elastane or Nylon and Lycra to make 100% waterproof velvet Swimwear. 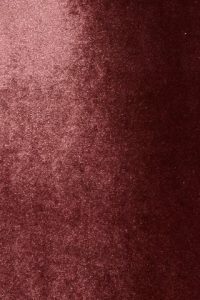 It might not be what you call a real Velvet Fabric but its very damn close and works well that you could not really tell the difference. On the left is an example of the quality that manufacturers these days use to make swimwear that will not get damaged by the salt waters of the beach or the sun rays. The only way you can destroy them is if you don’t wash them with care, I know a woman that put her great velvet bikini in the Dryer. that is a very big NO No. TIP – Do not put your velvet Swimsuit In The Dryer. It will wreck it. Why Would you Wear A Velvet Swimsuit? It is A New trend that has slowly become very popular on today’s beaches due to the fact that its getting nineties old style back. Even big celebrities are even getting them and styling them on the beach, For the likes of US reality Tv star and Model – Kylie Jenner Posing with her velvet swimwear range on below. Showing off her body on Instagram. You can check out more of Kylie Jenner from her Instagram Here. Just one of the many celebrities and fashion gurus that have turned to this style of range to hit the beach with. The style is that it makes you really stand out on the beach even if you do take a dip in the pool or sea water. They are very comfortable and for those ladies that love attention on the beach. you will Get it wearing a velvet swimsuit. Some examples Of Velvet SwimWear. Would you Wear them? Some Nice examples of Velvet Bikinis You Can Buy. 2 Two examples of Velvet one-piece swimsuits are just shiny and new. So there is the answer, you can actually swim with these lush Velvet Swimsuits and they will not wreck the costume what so ever and you will look amazing on that hot day.